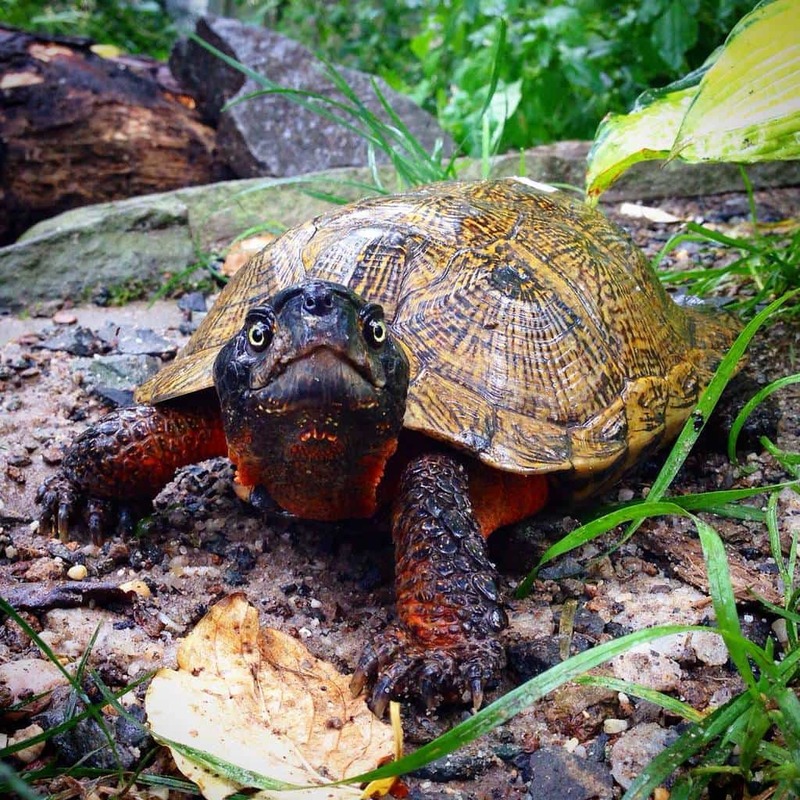 Possibly the smartest in the reptile kingdom, known for being even smarter than many mammals, the North American Wood turtle makes a fantastic and fascinating pet turtle. They aren’t only beautiful, cute and super smart, but they also become quite personable depending on the amount of time spent with them. We do highly recommend the 6 month old well started baby north american wood turtles for sale and 1 year olds over the more fragile north american wood turtle hatchlings for sale, all sizes/ages are available thru the drop down menu. They are omnivores that will eat both plant and animal matter, such as wax-worms, earthworms, snails, berries, fruits, and grasses. Our captive bred baby north american wood turtles for sale are ready to ship to you via FedEx Overnight in a heated or cooled, insulated box and come with our live arrival and full 7 day health guarantee. One shipping charge covers up to 4 tortoises or turtle for sale. Remember when searching for any tortoises for sale, including a new baby tortoise for sale, tortoise town is your source for the best tortoise for sale , baby tortoises for sale , baby turtles for sale, and adult turtles for sale of any turtle store anywhere. I am very happy with the tri of NA wood turtles for sale I purchased from tortoise town. Rob is always a great help with questions and they ship the same day. Can’t ask for better captive bred wood turtle for sale or service!